Are you lookng for something different to do on a Saturday morning? Why not enjoy a leisurely walk around downtown Murphy, NC. Every Saturday morning come enjoy Murphy Mornings. Murphy Mornings are every Saturday from April 7th to October 27th. From 10:00 a.m. till 2:00 p.m. you enjoy Cedar Valley Farmer’s Market where you can buy fresh fruits and vegetables. Are you looking for a handmade special quilt to snuggle up in? Murphy Mornings has quilters! Are you looking for that one of a kind gift from the Blue Ridge Mountains to take home to that someone special? We have crafters also! While you are visiting Murphy, NC stop by Exit Realty Mountain View Properties for a free cup of coffee and a chat! We love meeting new people and hearing about where they are from. Pick up our free brochure while you are walking through town. You just might see a cabin you can’t live without. We would love to show it to you. 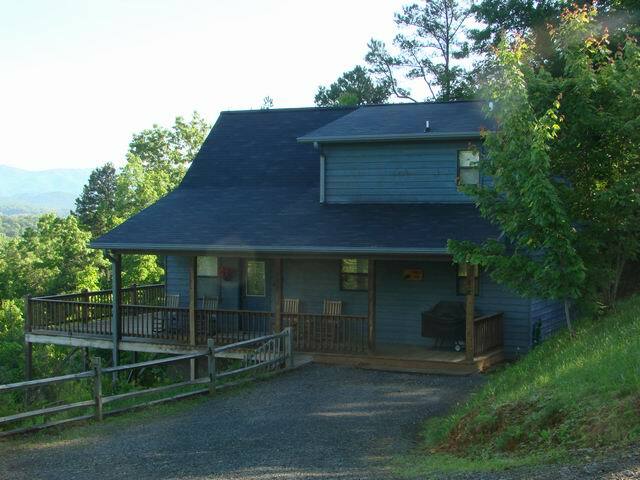 If you need a place to stay while visiting Murphy, NC we can help you with that also with our vacation cabins. Exit Realty Mountain View Properties is always available for all your real estate needs! Call us today at 828-837-2288! This adorable country 3BD/2BA cottage was remodeled 4 years ago. It has a new kitchen, bathrooms, heat and air. Hardy board siding with beautiful stone work, outdoor fireplace, level yard, private well, stream and artesian spring. Murphy NC Real Estate Sales and Service – Corky Vetten Realtor Exit Realty MVP is one of the leaders in marketing mountain properties. I specialize in assisting buyers and sellers invest in Real Estate in Western North Carolina and North Georgia, including the towns of Murphy, Andrews, Hayesville, Ellijay, Blairsville, Blue Ridge and the surrounding areas. Contact Corky at 828-361-0358 or email him at corky@exitmurphy.com. Summer is here and it’s time to plan that mountain getaway for summer vacation. We have several vacation cabins for rent that are just awesome. We have cabins that you can sit on the deck and enjoy the majestic sunsets/sunrises each day. What really makes these cabins nice is that they are close to town but you don’t feel like it. We also have cabins that are further out of town. The prices are affordable. So, pack your suitcase and come visit us in the beautiful Blue Ridge Mountains. We look forward to hearing from you! Exit Realty Mountain View Properperties recommends for mobile app the Turbo Scan its awesome.